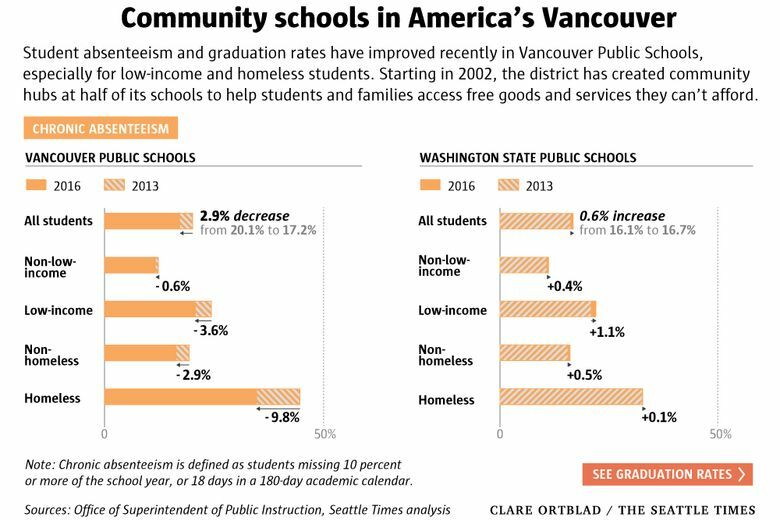 As student poverty rates soared in “America’s Vancouver,” school officials converted more than half of the district’s campuses into one-stop shops for low-income and homeless families. VANCOUVER, Wash. — Every morning before class starts, Shanna Baird welcomes the same sandy-haired student into her cramped but tidy office at Hazel Dell Elementary. About two in three students at Hazel Dell live in poverty, bringing challenges that Baird attempts to triage so they can focus on learning. One new fourth-grader rarely sleeps at home. His mother routinely invites strangers to their house, scaring the boy throughout the night. When that student enters Baird’s office, he immediately grabs a stuffed panther — the school mascot — before sprawling on the carpet with it and falling quickly asleep. Since 2002, Vancouver Public Schools has “stepped out of its lane” — as many educators here say — to help children living in the city’s most impoverished neighborhoods. 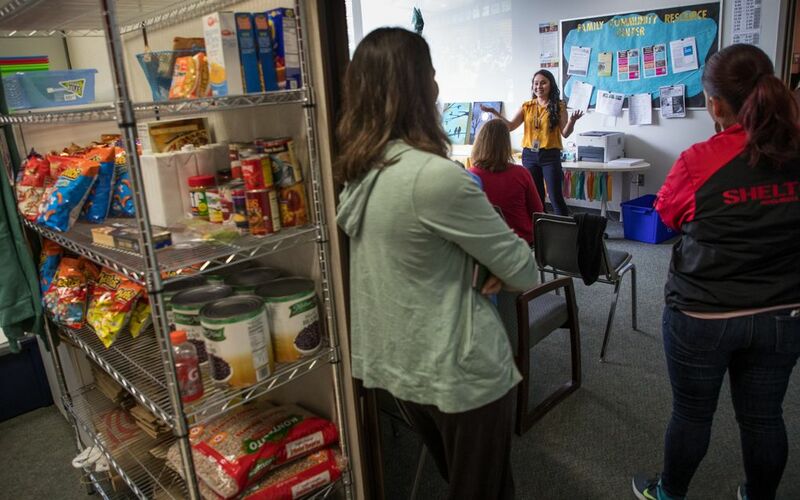 Blending social services into more than half the district’s schools, coordinators like Baird connect students and their families with the basic goods and services they can’t afford: Backpacks full of food for the weekend. Rent vouchers to avoid an eviction. Free dental work on a toothache. 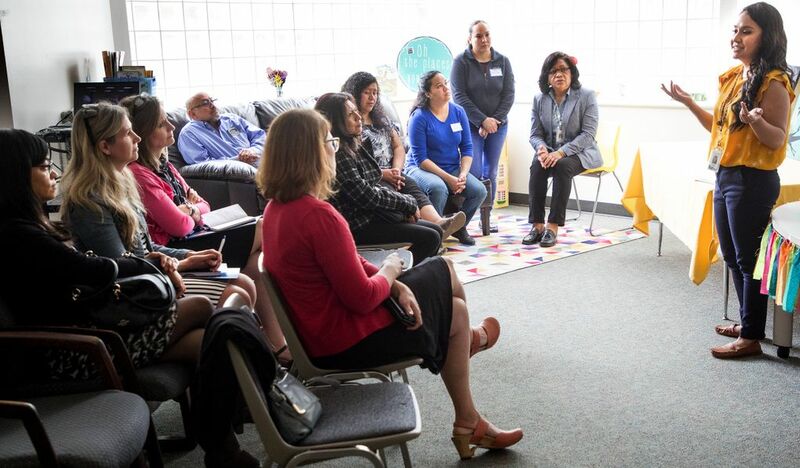 These Family-Community Resource Centers appear to be making a difference, with attendance and graduation rates on the rise, especially among low-income and homeless youth. And while students living in poverty here still fall well behind their peers on state proficiency exams, their growth on district-level tests suggest the gaps could close soon. 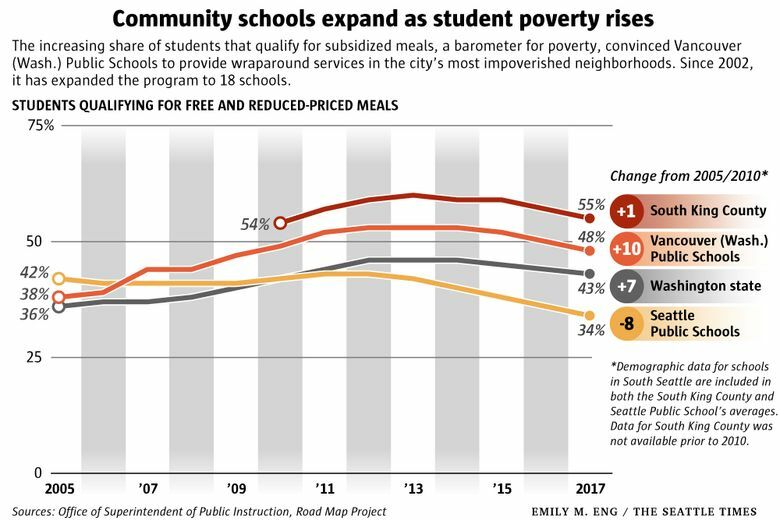 The approach — which researchers consider promising, but not yet proven — could serve as a potential model for schools in Seattle and King County, where educators have dabbled with a similar program but continue to struggle with rising student homelessness and poverty rates. “Schools do not have to carry this burden on our own,” Janell Ephraim, principal at Vancouver’s Martin Luther King Elementary, said at an education conference in March. Nearly 9 in 10 of her students qualify for subsidized meals, a common barometer for poverty. The results in Vancouver have drawn attention. 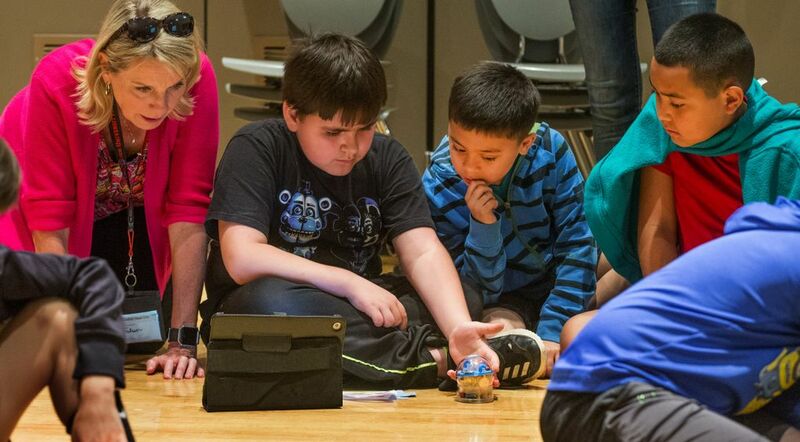 In May, officials from schools in Bellingham, Shelton, Sumner and Washougal joined visitors from Idaho and Oregon on a tour of the city to learn how to develop their own community schools. Similar models have spread across the country, most notably in New York City, where Mayor Bill De Blasio has banked on the approach to improve student outcomes at more than 200 of the city’s lowest-performing schools. Texas spends $15.5 million every year supporting community schools at 942 campuses. 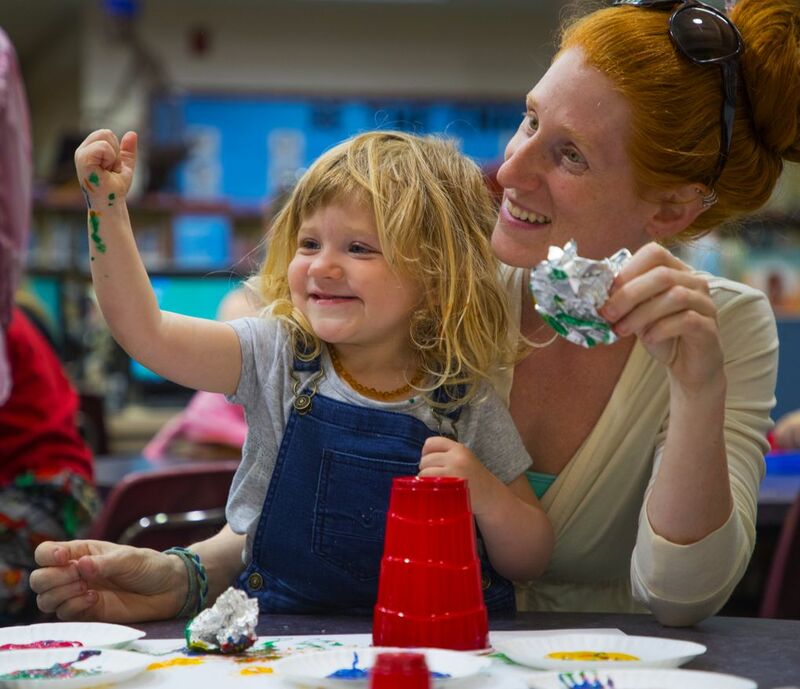 In Vancouver, the district has pledged to expand Family-Community Resource Centers to all its schools by 2020 and has dedicated space for the centers in construction plans for new campuses. The district each year spends about $1.7 million to staff the centers. But Superintendent Steve Webb estimated for every dollar the district invests, it receives about $4 of value in in-kind and cash donations from partners. The Vancouver model started small, in an isolated neighborhood on the skirts of the city’s industrial corridor. In 2000, virtually every student at Fruit Valley Elementary qualified for subsidized meals. So the school’s staff reached out to nearby churches, the city’s housing authority, child-care operators and dozens of other private agencies, civic groups and private firms. Together, they created the first Family-Community Resource Center — a central network of counseling, employment, medical, shelter, transportation and other wraparound services that a coordinator at the school could tap when problems at home prevented students from focusing in class. “The best days? That’s when kids come in happy and smiling and fed. They’re ready to learn,” said Staci Boehlke, who started 14 years ago as the coordinator at Fruit Valley. Instead, she offers families grocery and gas cards donated by local businesses. An emergency checkbook, paid for by the district’s foundation, can help with overdue bills. Shoes and jackets for children in winter. 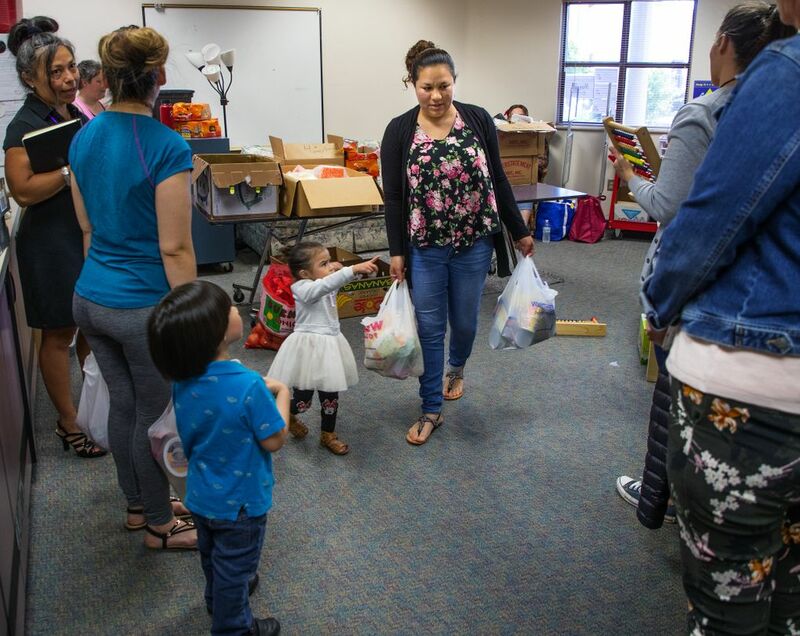 For Esmeralda Ocampo, it was the free backpack filled with school supplies that made her reconsider what a school could provide her two children. The coordinator also helped the Ocampos, who three years ago moved to Vancouver without a support system in place, with a medical emergency. She even got a bike donated for Ocampo’s son. In the years since Fruit Valley opened its center, student attendance and reading achievement have improved. Suspension rates declined, as did the number of students moving in and out of the school, a sign that families found some stability at home. At the same time, student poverty rates climbed across Vancouver, growing from about a third of all students in 2005 to more than half in 2015. 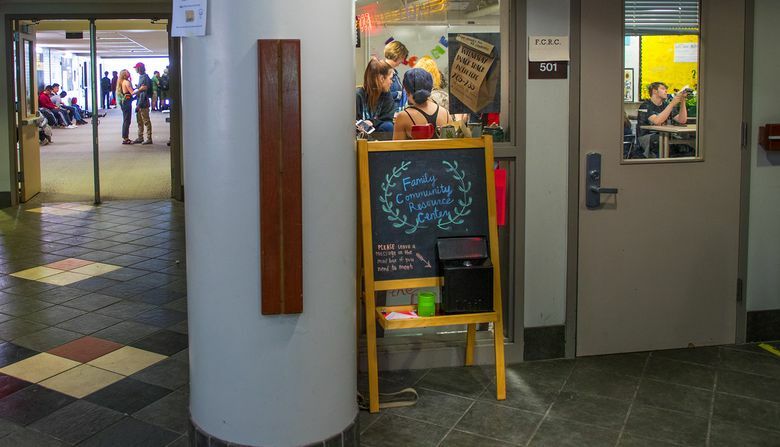 The homeless student population also soared, by about 500 percent since 2010. The demographic shift — and Fruit Valley’s early success — persuaded the district in 2008 to prioritize community schools in its five-year strategic plan. A second center opened that same year at Washington Elementary, and coordinators like Boehlke now work with students and families at 14 elementaries, two middle schools and two high schools. In other districts, including Seattle, Renton and Federal Way, schools often contract with third-party groups and community-based organizations to run similar programs for their at-risk students. Communities in Schools of Washington, for example, provides half- or full-time staff to work in dozens of schools throughout the state. 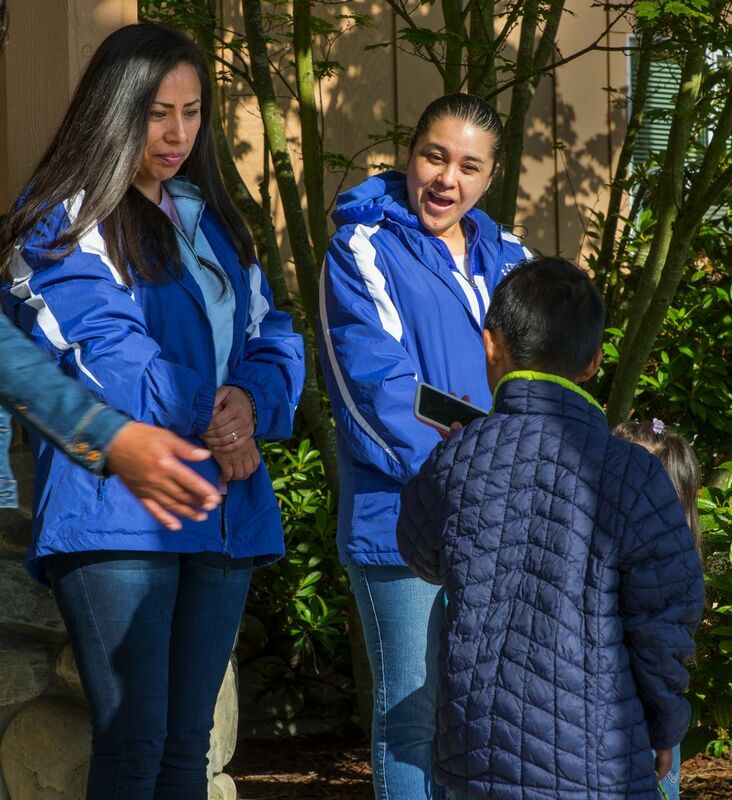 The city of Seattle has tapped its Families and Education Levy to hire family support workers at high-poverty campuses. Vancouver, however, prefers to run the work internally, said Tamara Shoup, the program director. It’s cheaper. And some teachers believe that it helps create better relationships with families. “Sometimes (parents) will feel more comfortable talking to someone who’s not with their child in the classroom every day,” said Jennifer Gay, a kindergarten teacher at King Elementary. In recent years, low-income families have moved from Vancouver’s rapidly developing downtown to more affordable suburban neighborhoods, where schools haven’t traditionally enrolled many low-income students. So, three years ago, the district put a center on wheels. 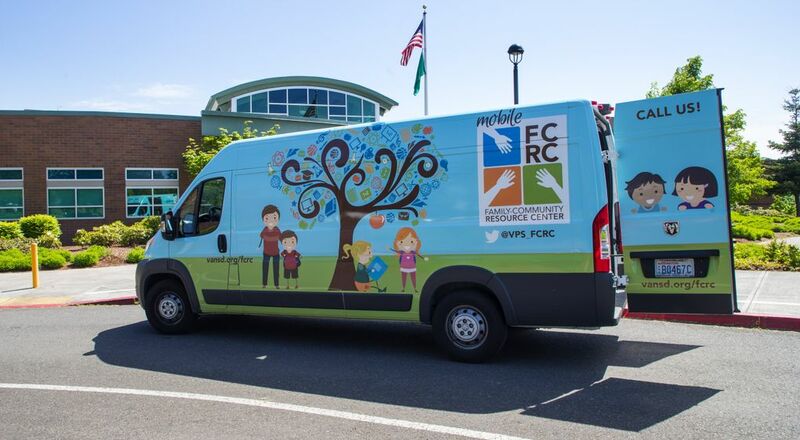 It purchased the first of two vans that it retrofitted with clothing racks and shelves filled with hygiene and baby products, nonperishable foods, school supplies — whatever the schools without a community center need that week. “We had one kid who just couldn’t take a shower because (his family) didn’t have towels,” said Jessica Bodell, counselor at Eisenhower Elementary, the district’s newest school in a leafy suburb of Vancouver. Fewer than half of students at Eisenhower qualify for subsidized meals, but their raw count — about 240 — is still larger than the entire enrollment of some schools with a center. 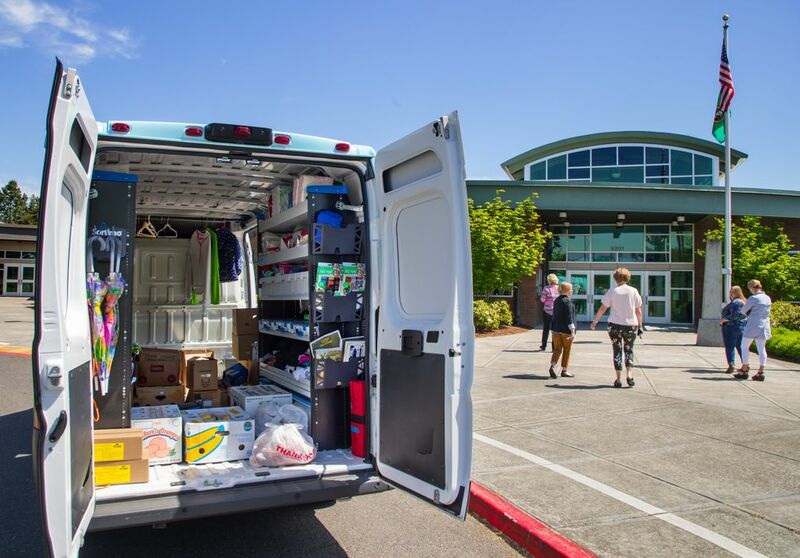 The vans also will provide a stopgap for schools without a center as district officials acknowledge they likely won’t meet the 2020 goal to have one at each of its 32 campuses. Shoup, the program director, said it will take more time to scale the centers with what’s available from partners. “We can’t go too big without enough resources,” Shoup said. Even at schools with space for the centers, coordinators often make do with empty offices and storage closets. 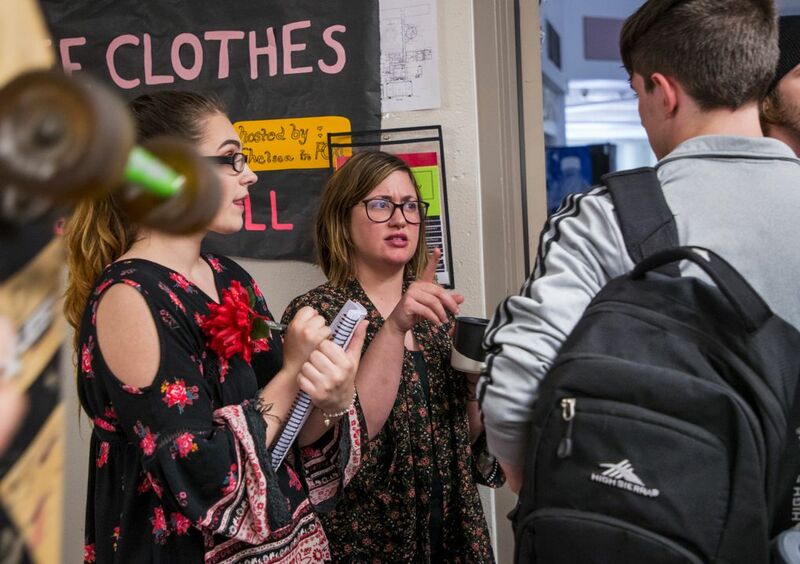 At Hudson’s Bay High, for example, coordinator Chelsea Unger converted a small room next to the cafeteria into a one-stop shop where students can wash a load of laundry, fill grocery bags from her food pantry and sort through cabinets full of hygiene products. Her office also provides a safe space for students at all times of the day. During lunch on a recent Tuesday, one young man entered the room sobbing. A pair of sisters quietly discussed their father’s pending deportation case with a friend. A sophomore, Gaven, meanwhile, brainstormed with Unger about where he would sleep that weekend. Previously, Unger helped the 16-year-old, who since 2 had been in foster care, kick a drug habit. She connected him with a job. She taught him ways to cope with his anger and stress. “I’d probably be in jail without Chelsea,” Gaven said. That day, Unger introduced the sophomore to two local homeless-services agencies that he’d need after his sister kicked him out her home. Despite the instability in his life, Gaven didn’t hesitate to state his future plans of going into mechanics or engineering after he graduates from Hudson’s Bay. “I never realized the value of an education before her,” Gaven said. “I had to grow up so fast that it blinded me.